Eric Stevens built this Lego Downton Abbey set as a Christmas present for his girlfriend (a die-hard fan of the show). He used Lego Digital Designer and spent 15 hours assembling it and customizing the minifigs. Best. Boyfriend. Ever. Stevens based his version of the country estate on ground and aerial photographs of the actual Highclere Castle (where it's filmed). Using all Lego parts (as opposed to custom printed pieces) there's a real authenticity and impressive attention to detail in the minigs especially. 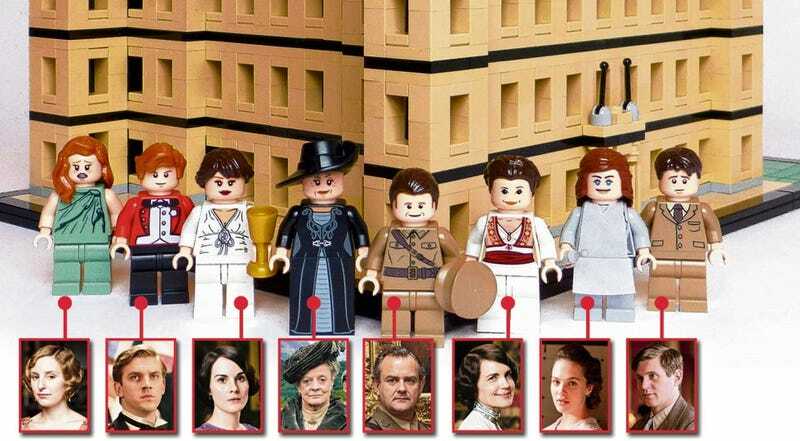 The minifigs include: The Earl and Countess of Grantham, Bates the valet, Branson the chauffeur, Matthew, Carson the butler, Lady Mary, Lady Sybil and the Dowager.